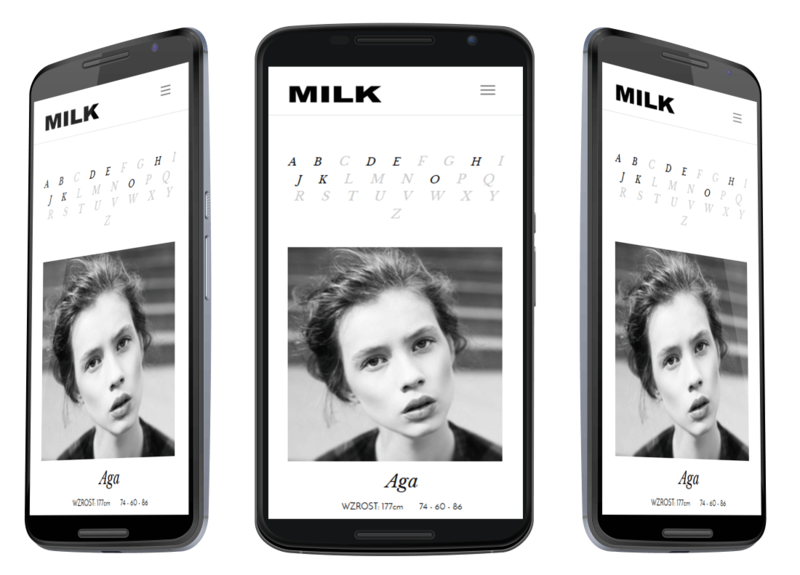 Milk is a professional agency based in Wroclaw representing models well known in many countries. The client asked us to create a modern website that will meet growing visual requirements and provide a reliable solution for models and photographs database connected with the site. The website can be visited by clicking here. We’ve created a responsive content management system with intuitive structure closely connected with the website layout. The system provides typical functionalities e.g. headings, text, photos, galleries edit fields. We’ve also designed some custom components that helps to manage large photo and models database. The responsive layout has been fully adapted to small, medium and large screens and highlights the most important element of the website – impressive photographs.